Makes 8 servings- for food prep, or a party! 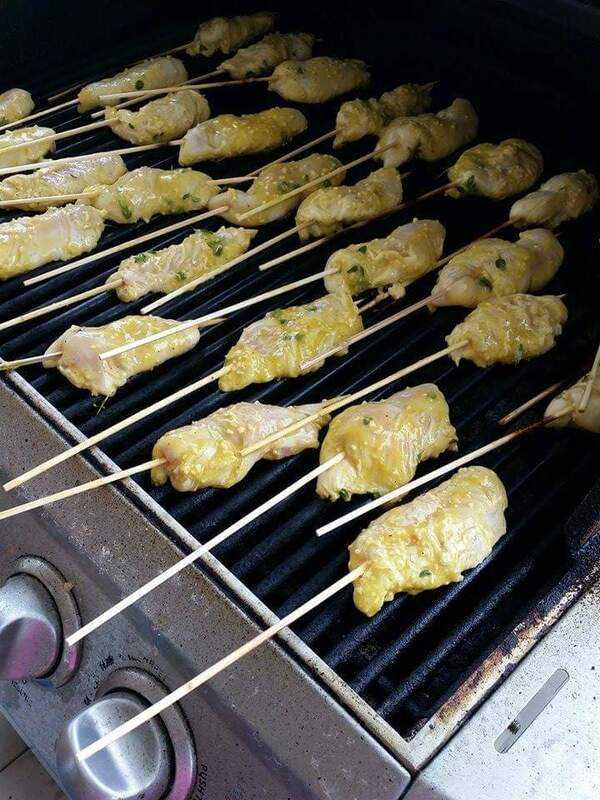 Wooden Skewers must be soaked for at least 30 minutes in water to prevent burning. Whisk all ingredients (except the chicken) together. Place everything in a plastic bag, or a shallow dish. Marinate for 4 hours, refrigerated. Remove from fridge, let sit on counter for 30 minutes. Drain all liquid, DISCARD marinade. 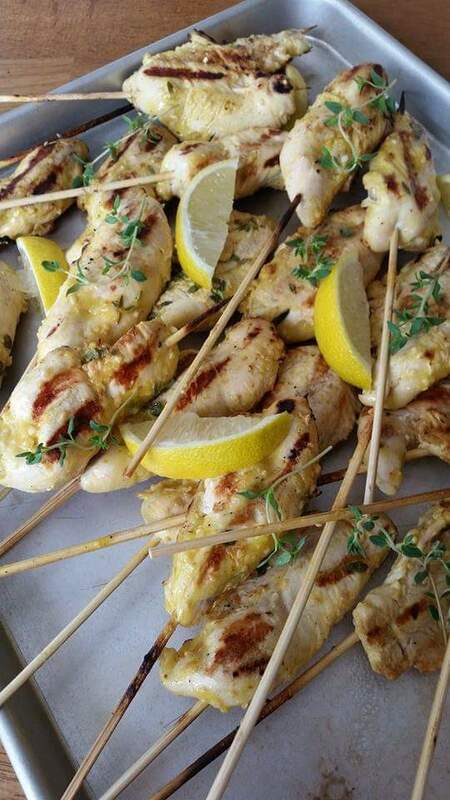 Thread Tenders onto Wooden Skewers. 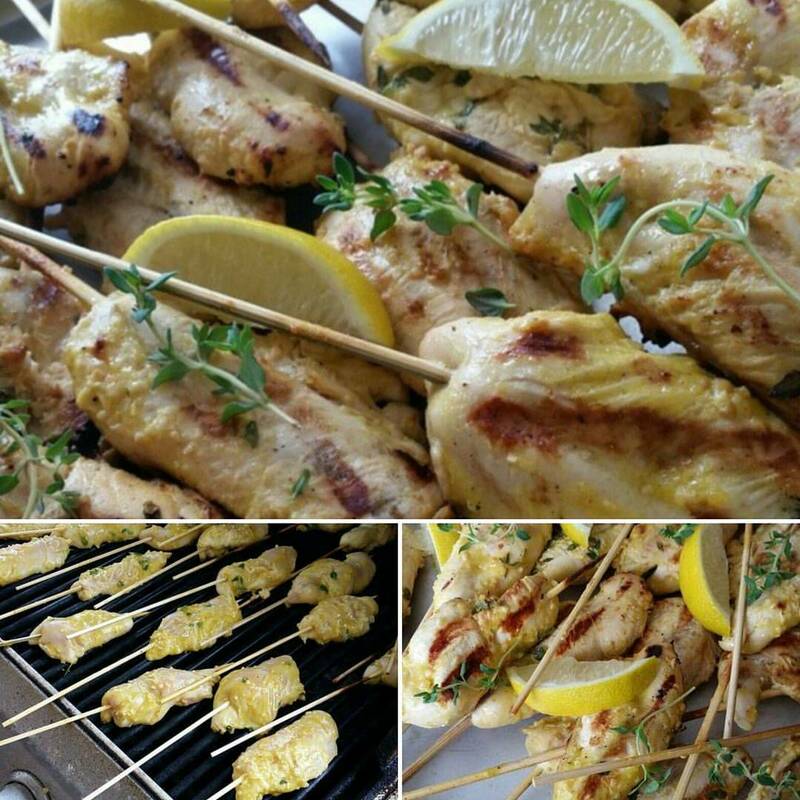 Grill Med-High heat, for several minutes per side, turning just once, until juices run clear. Wrap in foil until ready to serve.